Daily, millions of photos are shared on WhatsApp as it is the largest messaging and App in the world. There are lot of WhatsApp tricks running around on the internet and we’ve also shared some very useful and efficient WhatsApp tricks in the past. 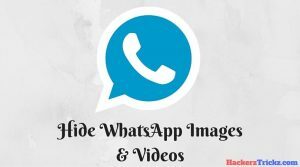 In this post we’re gonna share a trick from all you guys would be able hide WhatsApp images and videos from your phone gallery. Some WhatsApp stuff is personal and we don’t want it to be disclosed to someone else. But you can’t resist yourself from someone else touches your phone, in that case you can use this trick to hide your stuff and prevent it from disclosing to someone else. 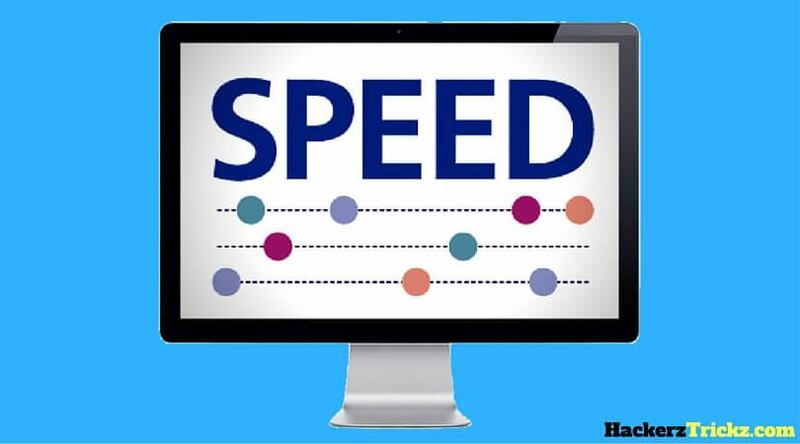 This is a very easy to apply trick, all you have to do is follow below given steps to apply the trick in your phone. Highly Recommended – Trick to call for free anywhere in the world. Below are the steps you need to follow to hide WhatsApp images & videos. 1. First of all, open your file explorer Android App. 2. Find and open the WhatsApp folder. 3. Then, open the media folder. 4. Here, you’ll see WhatsApp folder, select it and rename it. 5. Now, you have to add dot [.] [Do not add brackets] before folder name and save it. 6. Then, click on Options and select “Hide Hidden File or Folder”. 7. You’re almost done. 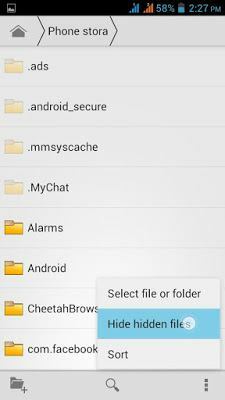 As a result, now you can successfully hide your pictures and videos from android phone gallery. 8. 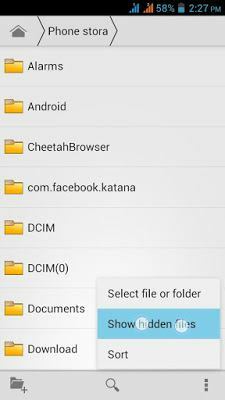 To unhide folder just open your File explorer App then click on options and click on “Show Hidden Folder”. Then your folder will be unhide and will be shown normally as before. 9. That’s it you’re done. Now you can prevent your WhatsApp stuff from spoofing by someone else. This was the simplest 9 steps guide to hide WhatsApp Images & Video in your Android phone. Feel free to share it with your friends. Note – Clear your WhatsApp Cache and Restart your Phone, If you see WhatsApp Images in Gallery after this procedure. So, hence was the post to hide WhatsApp images & videos. I hope you liked it. Feel free to comment your reviews in the comment box. The best applock tohide images/video is LEO Privacy. Functional Free Password Protection. It works, it’s free, and it keeps my pictures under encrypted password protection. It keeps everything secure and you can put as many pictures as you want inside just as easily as you can take pictures out. No complaints.